Apple is holding a press event tomorrow and the company is expected to launch three new MacBooks, a 13 and 15 inch MacBook Pro and a new 13 inch MacBook. We have been hearing rumors that the new MacBook Pro would feature an OLED touch panel called the Magic Toolbar and now some photos of this new Pro MacBook have been spotted in macOS Sierra 10.12.1. 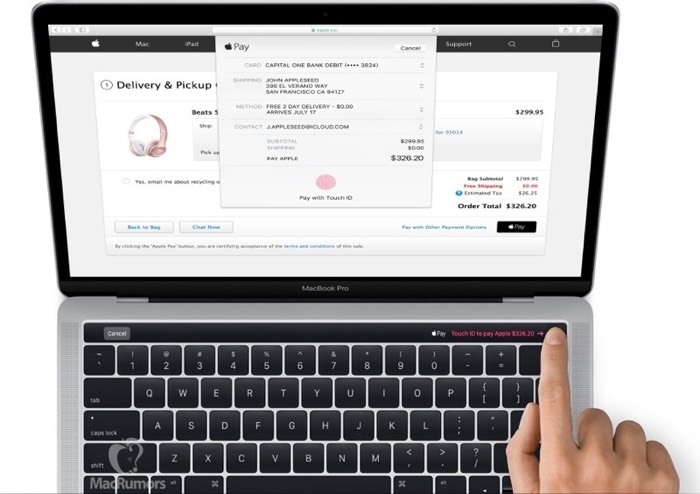 As well as the new Magic Toolbar the photos also confirm that this new MacBook will support Apple’s TouchID for Apple Pay. The design of these new MacBooks is apparently similar to the current models in terms of size and thickness, the devices are expected to come with a number of other changes. We previously heard that they would also come with USB Type C and also feature the latest Intel processors, we will have more details about these new MacBooks tomorrow.